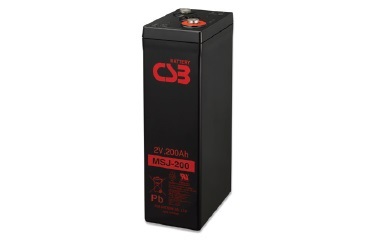 MSJ-200 is a Long service life battery up to 20years expected life under normal float charge. Flame Retardant Container/Cover The container and cover are made of flame retardant plastics which meet UL-94V-0 specifications. The oxygen index level is higher than 28.